If you are planning on retiring at the age of 50, the chances are good that you have already devoted serious thought to how you will maintain your financial livelihood over the next several decades of your life. Given the fact that the average lifespan in the United States is now 78.69 years, individuals who make the decision to retire at age 50 will likely have almost three decades in which they will need to support themselves through whatever means they have previously planned. The most popular retirement savings plans available today, such as an IRA, 401(k) or Social Security, do not allow individuals to begin withdrawing funds for personal use until, at earliest, 55 (without a penalty). Because of this, individuals choosing to retire at 50 will have to find alternate means of financing their lifestyle for, at the very minimum, five years. With that in mind, taking the time to understand the various benefits that may be available to you is absolutely essential. Knowing what you can and cannot rely on during this time period will help ensure that your personal retirement plans are financially sound for both the long- and short-term. Although early withdrawals may be possible from popular retirement savings programs, individuals will typically be forced to pay a heavy fine in order to access these funds prior to their mandated eligibility date. The vast majority of personal retirement plans available today for adults operate under the general assumption that an individual will be retiring, at the earliest, at age 55. 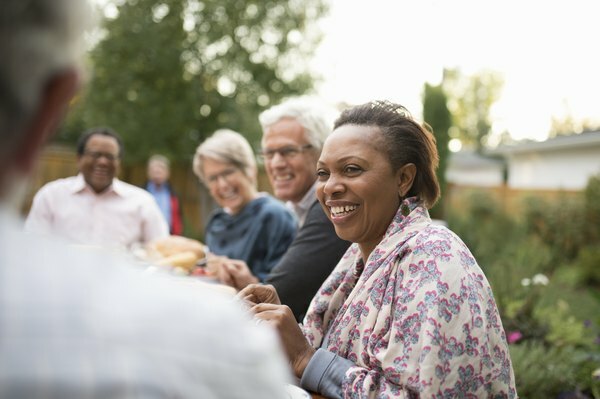 When discussing retirement plans, there are typically four primary platforms covered, those being the Roth or traditional IRA, and defined-benefit or defined-contribution pension plans. The IRA provides a degree of flexibility that, for individuals who may not have regular employment or are self-employed, is absolutely invaluable. A traditional IRA allows individuals to contribute up to $6,000 annually (for tax year 2019) without requiring taxes to be paid on the contribution itself. The size of the contribution increases by $1,000 when a worker reaches age 50. For retirement accounts such as a traditional IRA, the penalty-free withdrawal period begins at age 59 1/2. Although withdrawals can begin prior to age 59 1/2, any money taken out of the account will be incorporated into gross income calculations for the tax year and will also be subjected to an additional 10 percent tax penalty. It is important to keep in mind that these penalties will apply to each withdrawal from the traditional IRA prior to age 59 1/2. In a situation where access to these funds is critical, it may be worth the hefty penalization to gain access. However, it is always best to avoid early withdrawals when possible. Unlike a traditional IRA, a Roth IRA is funded by after-tax contributions, meaning any money that is withdrawn during the eligibility period will not be subjected to taxation. Like the traditional IRA, Roth IRAs can be funded up to a maximum of $6,000 annually (for tax year 2019), and will allow an additional $1,000 in annual contributions beginning at the age of 50. In contrast to a traditional IRA, there are specific income limits after which contributions to a Roth IRA are no longer allowed. For example, single filers earning more than $137,000 in 2019 will be unable to contribute funds to their Roth IRA. The maximum allowed contribution will begin to decrease once an individual's income reaches $122,000. Specifically in relation to the Roth IRA, it is critical to make a distinction between earnings and contributions with regards to distributions. An individual can withdraw their contributions to a Roth IRA at any time without facing penalties. Earnings from a Roth IRA can typically only be withdrawn beginning at the age of 59 1/2. Although earlier distributions of earnings are possible, withdrawal penalties may be imposed. Individuals under the age of 59 can avoid penalties on early withdrawals of earnings from their Roth IRA if they make equal and regularly timed transfers from this account. That being said, this exemption from early withdrawal penalties will only apply if the individual in question has held the Roth IRA for more than five years. Roth IRAs that are less than five years old do not qualify for this exemption. Other exemptions from early withdrawal penalties are also available for Roth IRA holders, the complete list of which can be found through the official IRS website. When using your retirement age calculator, you may have chosen to factor in the availability of funds from your pension plan. However, it is quite likely that you will be forced to pay early withdrawal penalties when you take funds out of your pension plan before the age of 59 1/2. In a defined-benefits pension plan, where your employer guarantees a certain subsidy in retirement regardless of the performance of the fund in which pension money is placed, a 10 percent penalty on the amount of pension funds included in your income will be imposed for early withdrawals. Similarly, in a defined-contribution plan such as a 401(k), early withdrawal penalties will be nearly impossible to avoid if you begin receiving this income before the age of 59 1/2. That being said, there are certain exceptional circumstances that can result in penalty-free distributions. These include situations in which you have become permanently disabled, the funds were used to pay deductible medical bills or the distribution was made to your beneficiary following your death, among others. It is worth the time required to research these particular scenarios in order to determine whether or not you qualify for penalty-free withdrawals. Although you can beginning to collect Social Security at 59 1/2, this remains another viable retirement program for individuals who are well above the age of 50. With that in mind, your best opportunity for collecting retirement benefits without incurring fines is to either invest in a slow-growth financial tool such as certificates of deposit, money market accounts or savings bonds, or invest in mutual funds independent of your workplace. Although various capital gains taxes will likely apply in these scenarios, market investments may provide lucrative returns over time and remain completely outside the realm of a retirement account program. For many individuals, early investments have yielded outstanding results over time. If you have any questions about your retirement options, it is in your best interest to speak with a financial expert or retirement professional. These individuals can provide you with a comprehensive overview of your current financial health and help you develop an effective plan moving forward that ensures that you reach your specific targets. If, in the course of your research, you determine that 50 might be too early of a retirement target, it is in your best interest to postpone your exit from the workforce rather than face financial hardship at an undetermined point in the future. That being said, if you feel that you are confident in your finances and can live your preferred lifestyle with or without early withdrawals from retirement accounts, you should make a decision that reflects your own opinions and desires. Investopedia: What is the Difference Between a 401k and a Pension Plan? When Should 401(k) Capital Gains Taxes Be Paid? What Is the Minimum Deposit to Open a Roth IRA?